Engagement rings come in a variety of beloved, classic styles, but we also love our more modern designs. I have included a few of our unique engagement rings that feature a morganite center stone. Each of these rings is available for purchase on our website. If you want to learn more about any of these distinctive styles, you may click on the link or on the photograph below. This engagement ring is rather timeless, but the east-west set center stone adds a modern twist. Shown here with an oval shaped center stone, it may also be purchased with an emerald cut morganite. 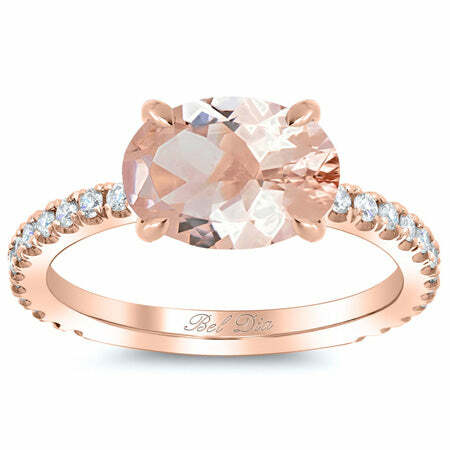 This round morganite engagement ring features four marquise cut diamonds that have G color with VS clarity. The center stone may be purchased in your choice of either a 0.90 carat center stone or a 2.50 carat center stone. 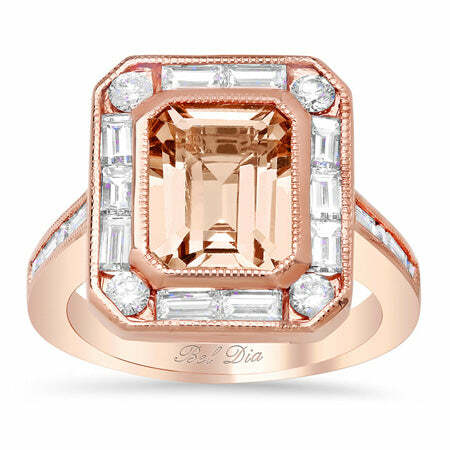 We adore the Art Deco influence of this engagement ring. The ring features a halo of round brilliant and baguette white diamonds that will exhibit VS clarity with G color. This design is the newest addition to our morganite engagement ring collection. 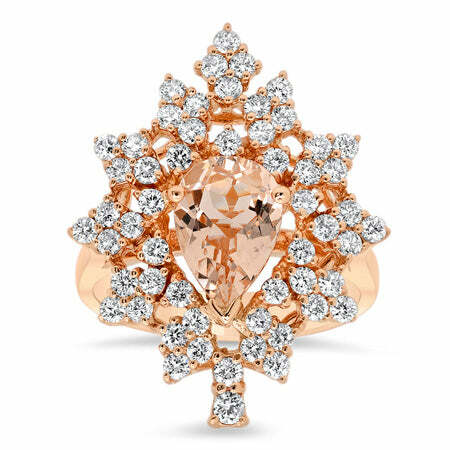 The ring features a 1.60 carat pear shaped morganite, which is complemented by approximately 1.15 cttw of accent diamonds. 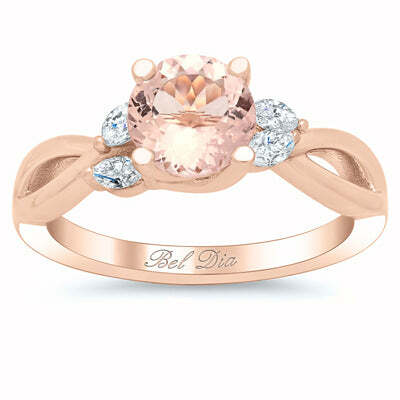 View all of our morganite engagement rings to see more unique designs exclusively from deBebians.